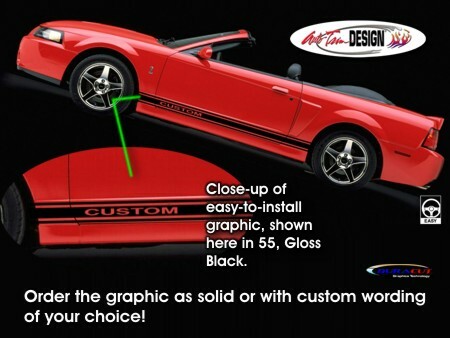 Set your '94-'04 Ford Mustang apart from the rest with this customizable body side graphic set. Choose from a solid center area or customize it with unique wording. Simply enter the Custom Wording of your choice (up to seven  letters/digits/spaces) and we'll make it happen. Either way it'll look Terrific!